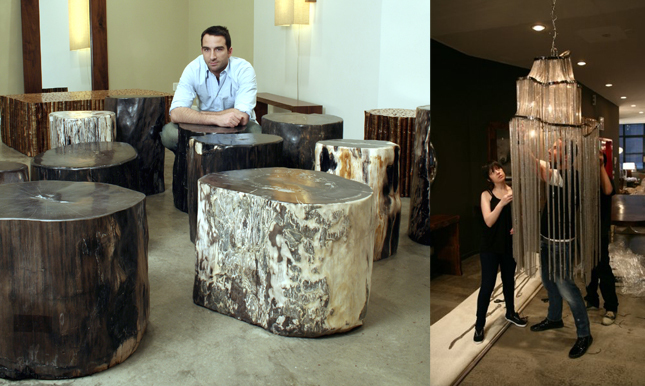 Barlas Baylar is a well-known New York City furniture designer who specializes in minimalist designs that bring natural elements to modern aesthetics. It is an approach based on direct experience, a lifestyle in itself as well as an aesthetic that embraces the without from the within: it is the anthem of modern design in upscale furniture that has been gracing celebrity mansions and high-profile residences. 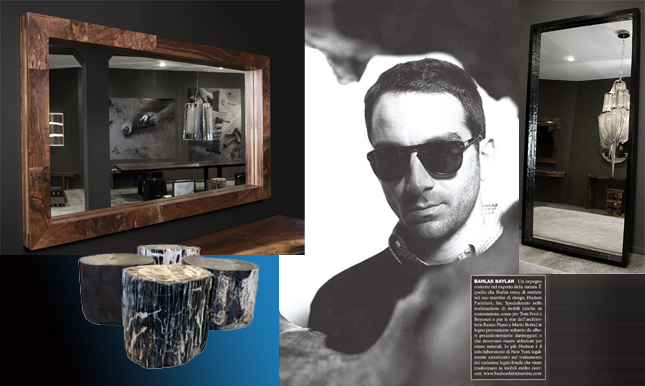 Walking through Baylar’s showrooms at Hudson Furniture is walking into a world where nature has been re-interpreted by architecture and the 21st Century yearns for millennia past. There one can view the evolution of chandeliers, tables, bed frames and their headboards. Metal, wood, glass, and stone have been re-imagined to clothe civilization. Chain chandeliers bear softly curving waves of metallic piping that trace the descent of light through glass strands dripping like fringe off sleeves. The bittersweet majesty of expiring trees is preserved forever in the solid slab of a seat. 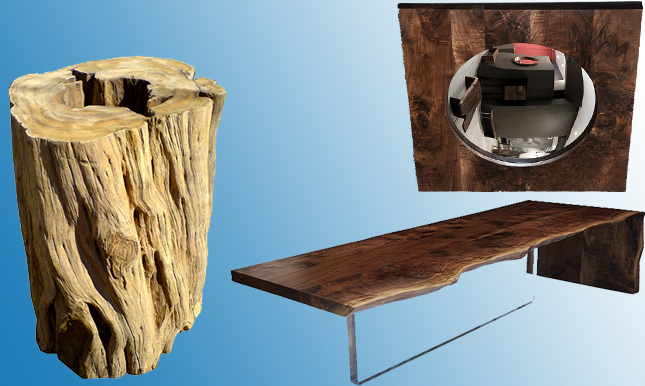 Then there are those accessories which appear at once both stone and wood – petrified wood, of course. Yet all the floor samples only hint at the hustle of Baylar’s busy NYC workshop. 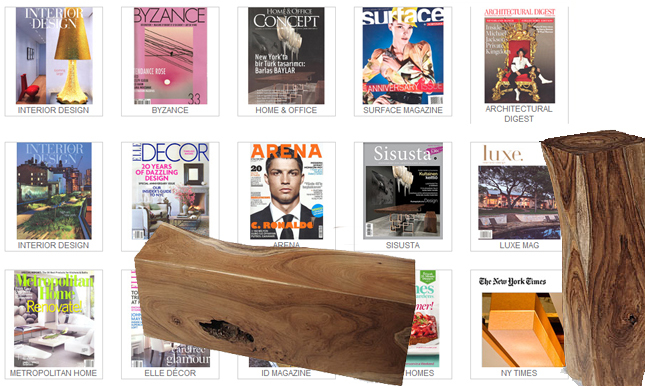 A concern for the preservation of natural beauty informs Baylar’s very modus operandi. 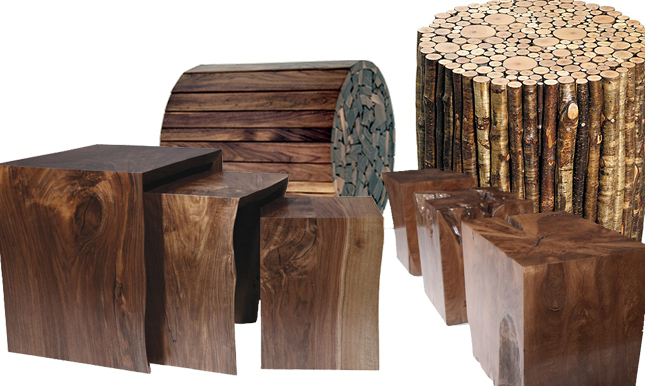 No mere detached admirer from afar, he is deeply devoted to the exclusive use of certifiably sustainable materials in his consoles, panels, sofas, and mirrors, such as domestically sourced dead and dying lumber damaged by wind or storm. 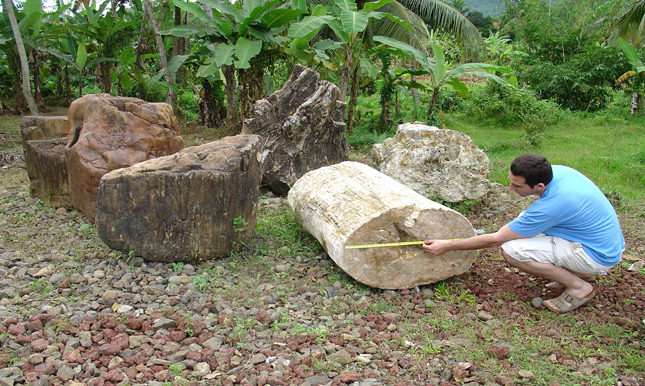 Some come from trees removed by their rightful owners in order to prevent damage to houses or other trees. Nothing is left to waste; scraps and leftovers of every irregularity are re-integrated into each new piece.